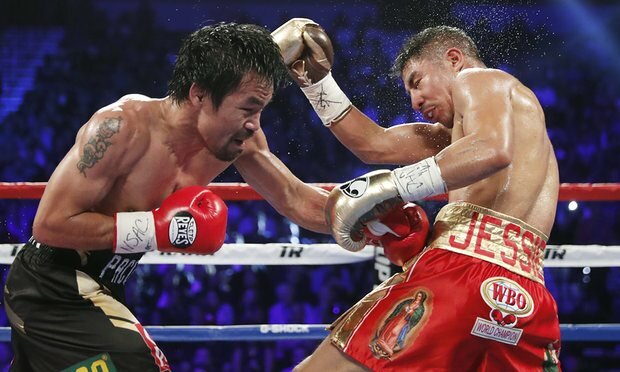 Filipino senator, Manny Pacquiao regains WBO welterweight championship as Floyd Mayweather watches from ringside. Pacquiao returned into the ring and challenged Jessie Vargas into a 12 round match for the WBO welterweight championship. The match ended by unanimous decision! and the Filipino senator, Manny Pacquiao came out as the winner. Pacquiao was also asked on whether he would rather fight Terrence Crawford or Floyd Mayweather, the two biggest names put out there for his next opponent. Let's hope we may see another re-match between Manny Pacquiao and Floyd Mayweather.